I have been wanting an Erin Condren Life Planner for probably a year now and I finally got one! 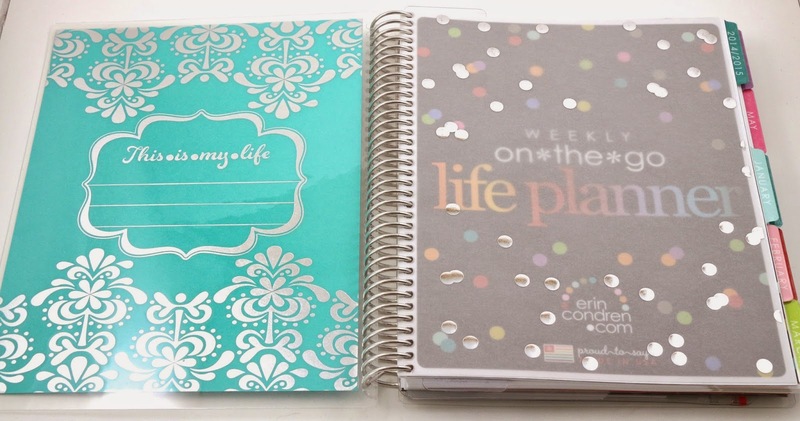 I briefly looked at a few other planner options, but I knew I really wanted the Erin Condren Life Planner. I loved all the sections, the monthly view, the weekly view, the stickers, and all the little extras that characterize an Erin Condren planner. I wanted to do a review of the planner itself, and then do some other posts or videos regularly about how I plan in the future. I didn't get the planner until mid-February, so there's only about two weeks planned out right now. But I did make some unique things that I added in to the coil. And I've got lots of stickers and washi tape on it's way to me, so maybe I can also do some reviews of those and recommendations of my favorite Etsy sticker shops. I might try to do monthly posts about how I planned for the month, but I also might start doing plan with me videos on my YouTube channel. After watching quite a few videos, I find that I have a unique style of planning from others. If you have a preference of which kind of post/video you'd like to see, leave a comment and let me know! I purchased the Turquoise Platinum Edition, with my name and blog name on the front. I figured I would be using it mostly for planning blog posts and videos, so the blog name on the front works for me. And since I purchased this in February, I just got the 12 month planner because that's all that was available at this time. It shipped quite quickly, I chose the slowest and cheapest shipping option, which is sent FedEx but is delivered by USPS. It shipped 7 days after I ordered, and arrived in 4 days from Southern California to Northern California. The option you decide on might depend on where you live. For me, regular FedEx is delivered usually before noon and it does come to my door instead of to the mailboxes, so spending the few extra dollars for FedEx delivery might be worth it. Having it switch over to USPS does take an extra day or two, but since I live in the same state it was sent from, it wasn't too long of a wait. This is the off season for Erin Condren I believe so shipping is pretty quick. I think during the peak brand new planners on the site season, it can sometimes take up to a month for your planner to ship. New planners are released in June, and that's when you can get a 12 or 18 month planner, and I think that's also when they have new covers and updates to the planner itself. Here's a close up of the text. I wish it was also done in the silver foil like the cover design, but it looks ok in the plain text color. And I didn't photograph it, but I want to mention this one comes with the silver elastic band that goes around the planner to keep it closed in your bag or purse. And the inside cover. There's a place to put your name, phone number or email in case your planner was lost and found by someone. And here was my preliminary planning of the week I got my planner. I like to color code, so there's a whole color system for mine. It probably wouldn't make sense to anyone, because I usually just color code based on strange things. It's not shown here, but for instance my activities and going out with friends and stuff has always been red. Red is my favorite color and it's always for fun stuff. Green is B's favorite color, so his stuff or our together stuff is in green. Blue is for bills or recurring payments. Hot pink is for videos, mint is for indie blog posts, lavender is for indie subscription posts, and so on. Not many people color code as much as I like to, so it might be interesting to see for others who also like to color code. So far, I've just been using a big 24 color pack of Ultra Fine Sharpies, and they do bleed through the pages a little. But once you start writing on the other side, it's not that noticeable. 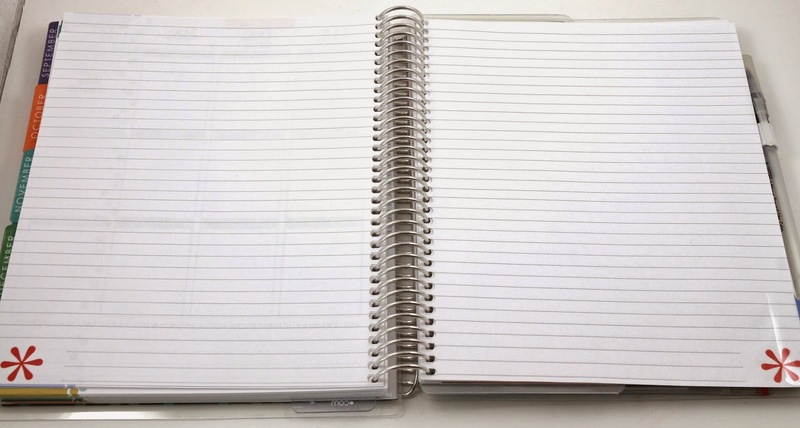 Here are the note pages at the back of the planner, it's really handy to have. I'm not as cool as some people who use these pages for things they always need to reference. I've mostly been using them for my blog review notes when I don't have my computer handy. Maybe I will try to set aside some for some permanent things that I will always need to reference, but I still don't know what that would be. And here are the unlined note pages, they all have different designs on the top. I like them, but again I'm not sure what I want to use them for. I decided to get the meal planning insert from Erin Condren. One side has all the days on it, and the other a list so you can write in what you need from the grocery store. For right now, I don't really need this as I'm not doing meal planning currently. And I'm not sure how I feel yet about needing an alcohol wipe to wipe off Sharpie off of this every week. But hopefully I'll get a chance to try it out. I'd probably still end up writing the meals on each day in the weekly view once I had it planned out. Or at least writing out what we ate after the fact. And here's the notes insert. Which again, I haven't used even though I should, since I took up a bunch of notes pages with things I just needed for one time. Here's the first sheet of 4 sticker sheets that are in the back of every Erin Condren planner. 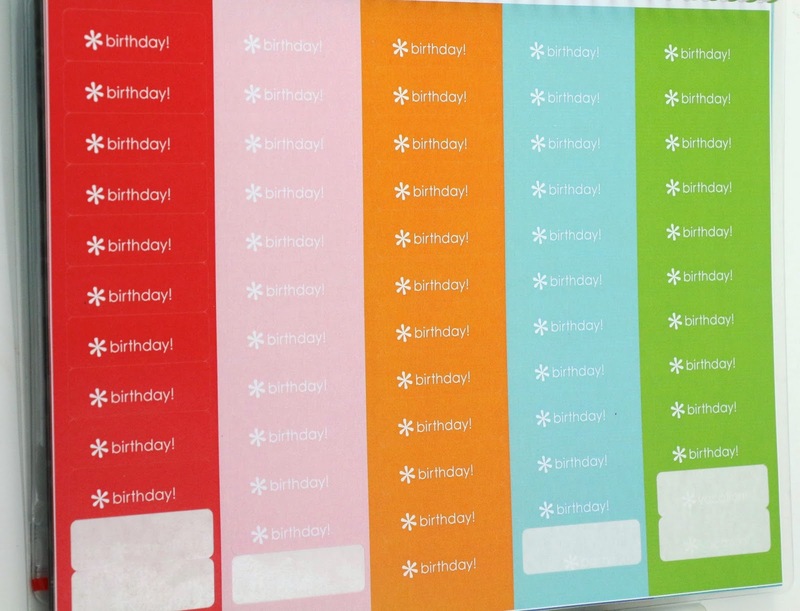 The first sheet is all birthdays in multiple colors. The second sheet is just more stickers that many people would use, like party, concert, vacation, day off, sale, game, etc. 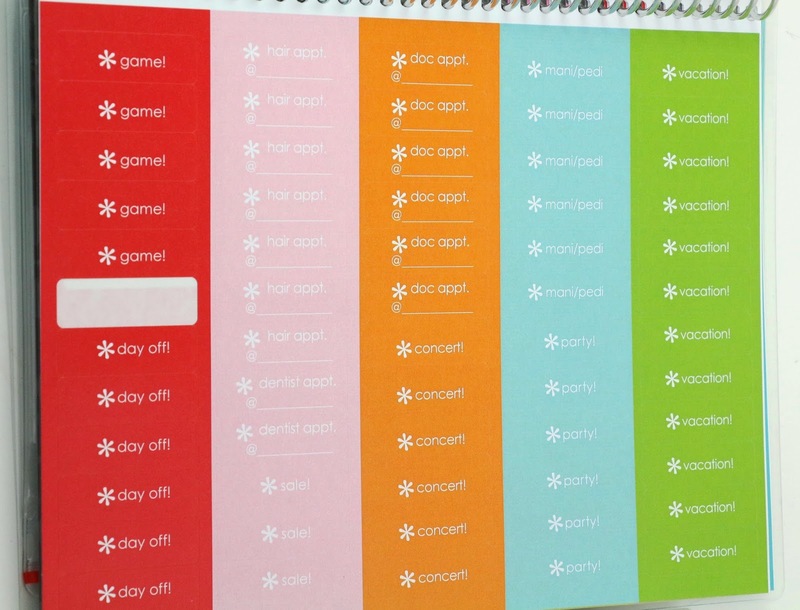 The third and fourth sheets are blank stickers in various colors for you to use for anything. I used almost all of them already, so I don't have photos of the sheets themselves. But I've ordered more blank ones, and several sheets of customized stickers. I want to note, these stickers are advertised as removable. They are to an extent. I find if I am careful, I can remove and re-stick once or twice. After that, they won't stay on very well, and I've been using tiny strips of washi tape to keep them on. Sometimes the sticker rips a little when you're removing it. I find if I try to remove from the other side, it's usually fine, but sometimes it does remove a bit of the page. I'm looking for a better way to do this because I move blog posts and videos around all the time. I need a way to write them down but also be able to move frequently. Possibly with washi or washi tape strips, so I'll be trying that next. And here's the back of the planner with the Keep It Together pocket, with the perpetual calendar inside for birthdays or other dates that don't change. And the little zip plastic pocket that comes with some gift labels personalized with your name, some clips, and other accessories. 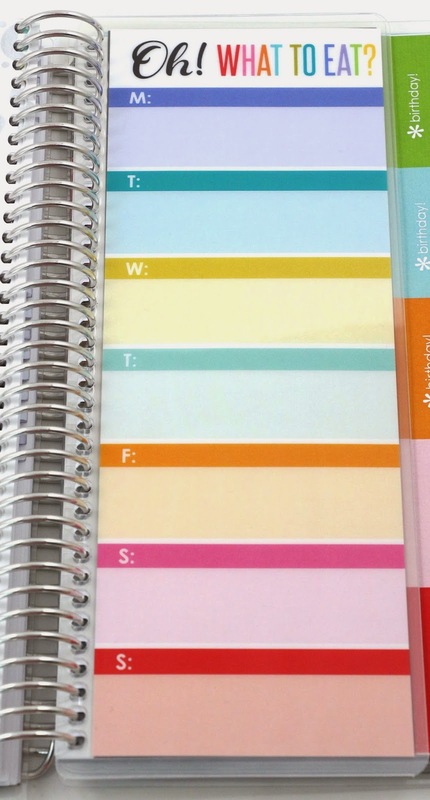 Overall, I really like this planner from Erin Condren. After now looking at other planners, I am really glad I went with this one because it's by far my favorite. 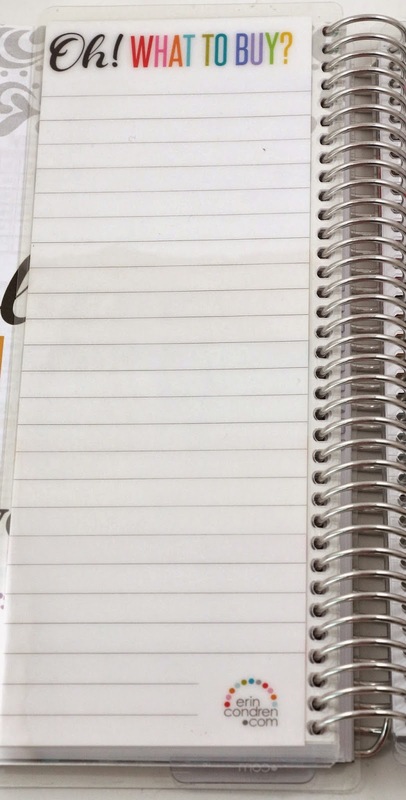 But I also see why some people prefer other kinds of planners as well, because this one certainly is not perfect. 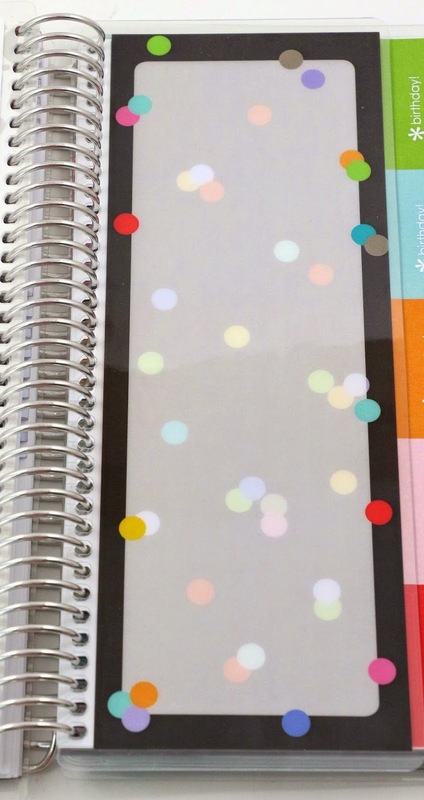 I've been using mine for over two weeks, and here are my pros and cons of the Erin Condren Life Planner. Very cute and colorful. Plenty of ways to add stickers, washi tape, etc. Can be personalized in numerous ways, including various cover designs, removable covers, and the front text can be customized. Plenty of space in the monthly, weekly, and notes sections. Comes with a variety of stickers, including blank stickers. You can purchase coil clips or other clip in sheets to add some extra things to your planner. The cover and back cover are very sturdy laminated card stock. Monthly tabs are laminated for more durability. Big enough for plenty of writing room, but small enough to still fit in a purse or bag. "Removable" stickers are not that removable. The pages themselves get torn up quite easily and quickly around the coils. 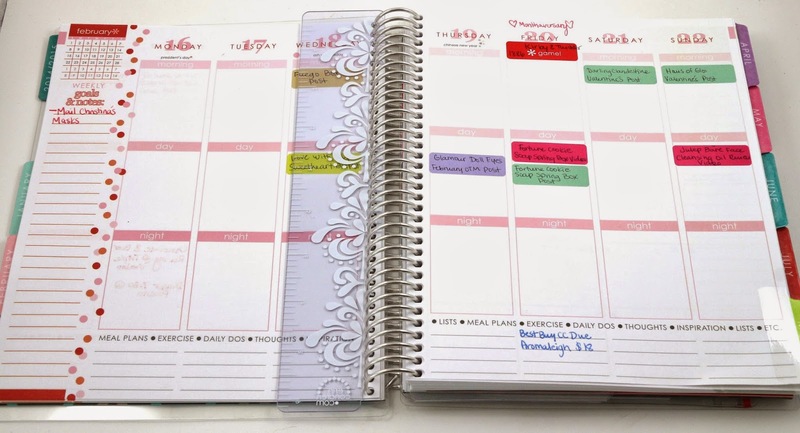 Adding too many things with coil clips makes the planner too big and bulky. The coil itself is not big enough to add a lot of your own pages or other sheets. You can't always pick the month your planner starts in. For instance, mine was only available as a 12 month 2015 planner, it started in January even though I bought it in February. No way to customize the page layout on the website. It only comes one way, with the morning, day, and night layout in the weekly view. The ruler bookmark it comes with is clear, but it still has a design on it making it not completely see-thru. The teeth on it also seem like they will bend off fairly quickly, they bend easily. You cannot remove anything without destroying it. 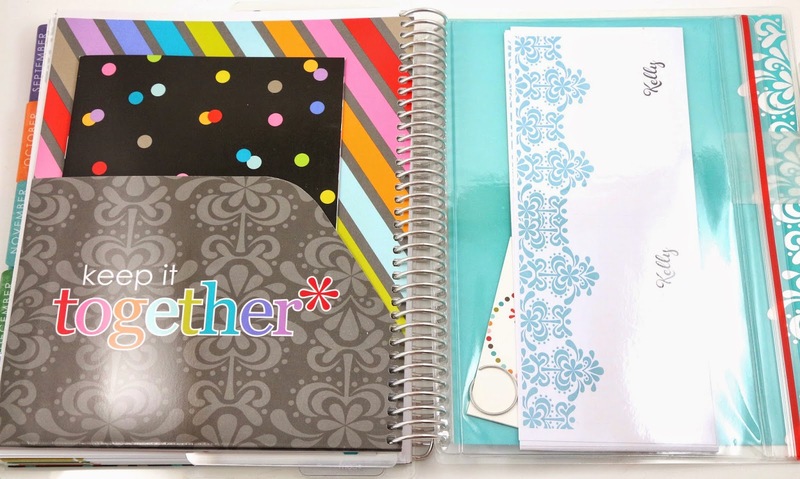 I would say, if you're looking for a bright, colorful, somewhat customizable planner that's going to last all year, the Erin Condren planner might be for you. Especially if you like to, or anticipate decorating each week with stickers or washi tape, there are a lot of ways to do so. If this is going to be your first nicer looking more professional planner, the price point can be a little scary at first. But if you enjoy using it and it helps plan out your weeks and months then I think it's worth it. If you'd like to get your own Erin Condren planner, you can use my link for $10 off your purchase on anything on the website! 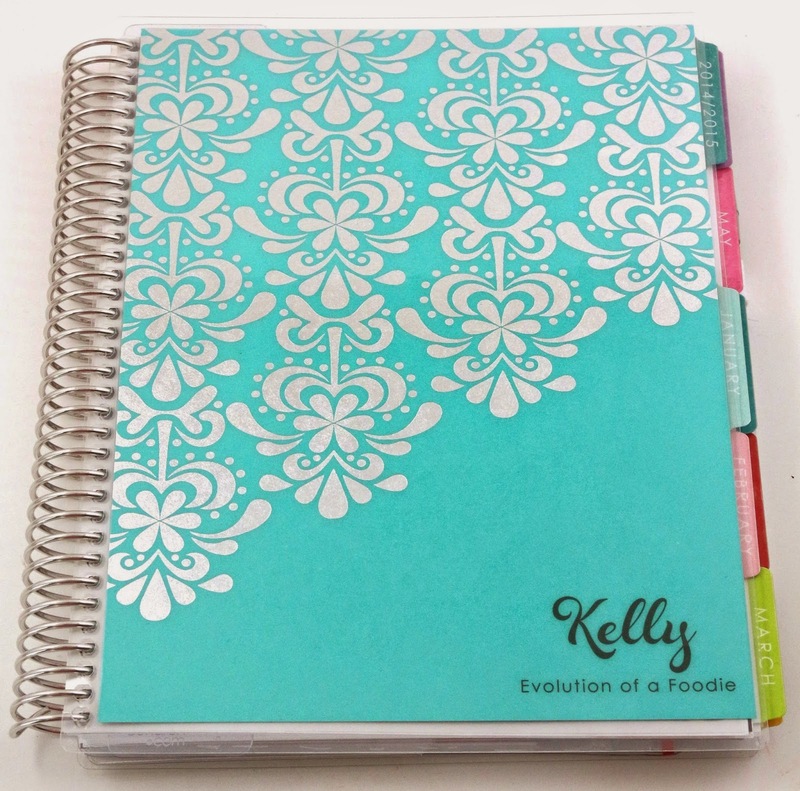 What did you think of the Erin Condren Life Planner? 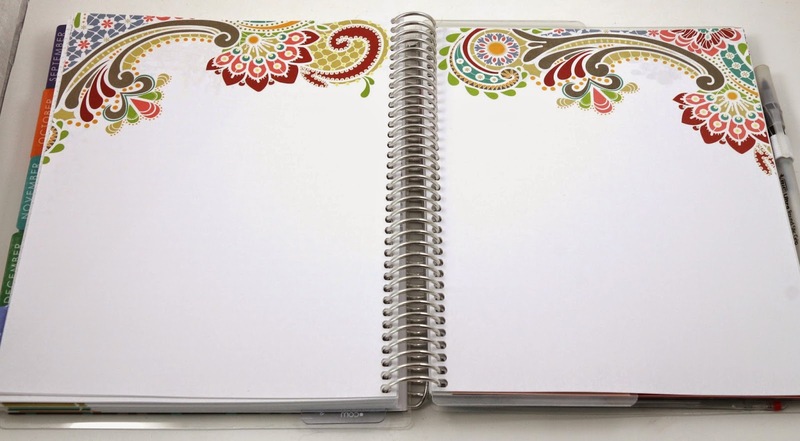 What kinds of posts/videos would you like to see about planning with the Erin Condren planner? Let me know in the comments! I was just looking at this exact one. A friend linked me to your review. Very helpful - I'm slowly adding things to my cart, haha. Awesome! I can't wait to hear which one you pick out! Yes the link will still work, and you'll still get a discount! Great, one vote sticker reviews! I've always lost focus when I've started paper planners in the past but now that I'm blogging and meal planning, I think I could get some use out of it. But since it's now March I'm not sure I could rationalize $50 for 9 months. I will, however, spend the next year reading your blogs/watching vlogs about it so I can make an informed decision next year! I will read all your blogs on the subject! The nice thing is they do new planners in June, so you can get an 18 month one then for only $5 more! But I will definitely be doing more updates on it. It's definitely a good option for planning blog posts and meals.